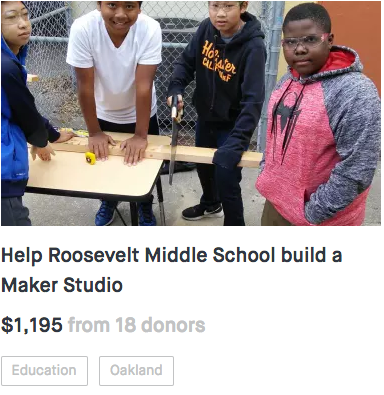 Maker Ed is working with 7 schools across the nation to expand making in their school communities through our Making Spaces program. 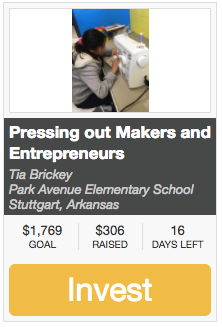 Each school has launched a crowdfunding campaign to support their initiatives. Check out their crowdfunding pages and projects below and help fund their efforts. 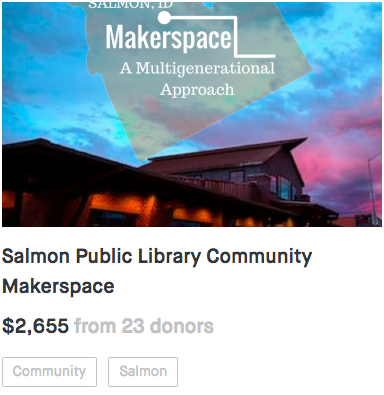 Check out the crowdfunding efforts of our other Making Spaces Hubs.